The last week has been occupied with a lot of work and other non ham related things. Worked some on the moon this weekend but low activity on Saturday but higher on Sunday morning when it seemed to be better propagation. Did work the Swaziland expedition on Saturday morning quite easy and they were at strongest -15dB but later in Saturday morning the polarization shifted completely and I could not read them for hours. 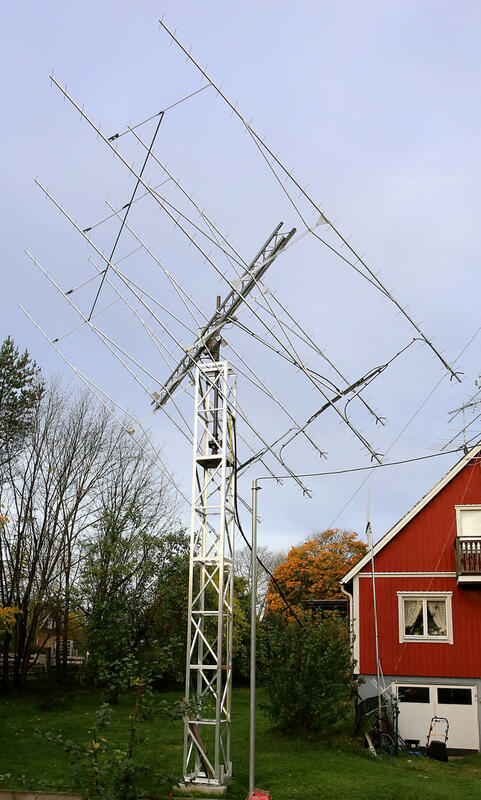 This morning I could read them all the time and worked 8 other stations in total including a nice contact with Kjell, SM7GVF who was really strong with his single yagi. Interesting to compare what other reports of signal levels of different stations and it seems like I do hear very well. As I live without any neighbors or large areas of QRM the noise level is very low but it still seems like there is something causing noise from my own house but have not found it yet. 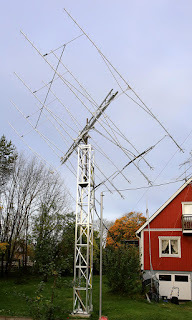 At one time during the morning I discovered a new noise that I never heard before but when I at one time went outside i saw the robot lawn mower close to the antennas and after parking it the noise disappeared. This is not a big problem as it is soon time to take it in for storage during wintertime. Registered on livecq for reporting from MAP65 in real time and it worked without any problems. Discovered that when listening on a specific frequency in MAP65 it decodes lower signals then when listening on another frequency. Occasionally I could detect 3DA0MB at -27dB or something similar when I tuned the MAP65 the their QRG but the wideband decoding could not detect them at lower levels then approximately -25dB. I also need to rebuild my preamp I blow last weekend as well because the one I use now does not start at some times when switched to RX. It happens rarely but I missed a few decodes due to that this morning and that´s not acceptable. The problem is that I need to fix the noise figure meter before so I can tune it properly but will hopefully find the time to do that this week.